Nancy V. Schumann has dedicated her professional life to helping children and adults become more effective communicators. With more than 25 years as a Speech Language Pathologist, Nancy has worked with families of children with many different issues that have impacted upon their abilities to deal with language and communication. Nancy's awareness of the social dynamics of being a competent communicator in various home, school, work and social settings has allowed her to create successful aural habilitation plans for adults. Since 1996 Nancy has been using the Auditory Verbal Approach to provide speech and language therapy to children with hearing loss. The Auditory Verbal Approach is a family- centered approach developed to teach spoken language through listening. 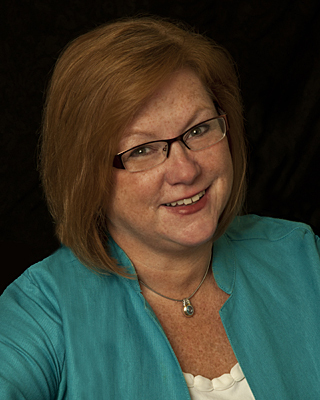 Nancy is a Listening and Spoken Language Specialist and a Certified Auditory Verbal Therapist. Nancy also provides professional development, in-service training, consultation to schools, and mentors Speech Pathologists and Teachers of the Deaf. Nancy has developed numerous workshops on topics related to language development, critical thinking, auditory learning, Auditory-Verbal Therapy, vocabulary development, social language skills and humor. As a consultant, Nancy presents at professional development workshops, school in-service meetings and at local, state and national conventions. She is a member of ASHA, the American Speech Language and Hearing Association, from which she has earned several ACE awards for continuing education. She is an active member of AGBELL, the Alexander Graham Bell Association for the Deaf and Hard of Hearing, and a past member of the Board of Directors of the NJ Chapter of AGBELL. An avid traveler, Nancy maintains contact with families she has worked with who now live around the United States, and in Japan, Switzerland, Venezuela, India and the Philippines.